When it comes to ocean cruising, there are some destinations that keep clients coming back again and again. And, it's fair to say that the Mediterranean is one such region, not least for its brilliant blue waters, world-leading cities and centuries of culture. Whether you're sailing out from Barcelona to explore the ritz and glitz of the western rivieras, discovering the unique history of the Iberian Peninsula, uncovering Italy's artistic heritage in Rome or Florence, or ticking off the ancient ruins of Turkey and Greece, a Mediterranean cruise is perhaps the ideal way to get to the heart of this sun-kissed corner of the Continent. And, with the world's leading cruise lines offering everything from short trips to in-depth explorations, you'll be able to take it all in surrounded by the comforts of some of the most luxurious ships around. Drop anchor in ports across the region to enjoy expert-led shore excursions, then taste your way through the Med's rich and varied culinary landscape or simply relax on board, perhaps indulging with a spa treatment or a dip in the pool. 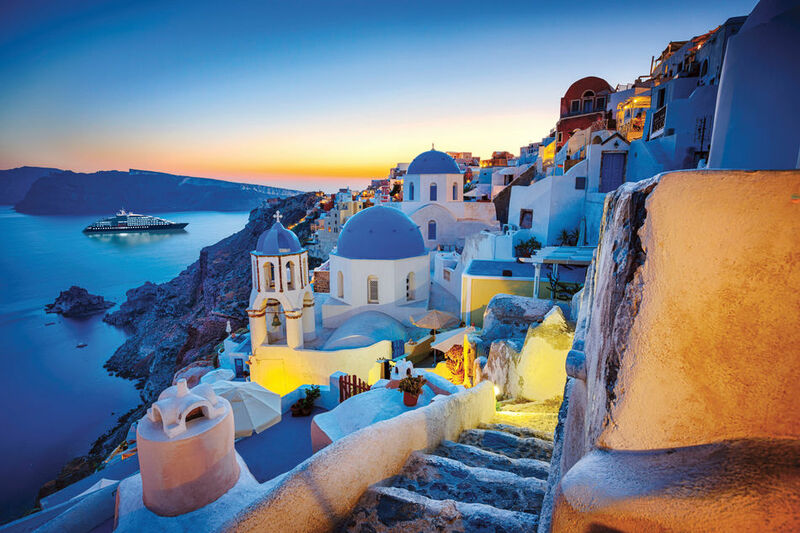 Some of our favourite Mediterranean cruises are featured below. But, if there's something else that appeals, don't hesitate to get in touch. Our cruise specialists are waiting to hear from you.